Active Value Perfomance Capri is rated 3.8 out of 5 by 8. 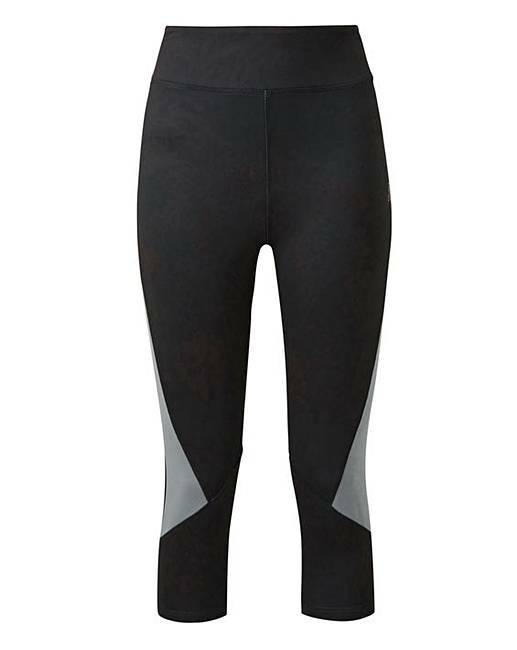 These Active value performance capri leggings are a great piece to wear with your active lifestyle. Rated 1 out of 5 by Vivi from Not good in sizeing Was looking forward to these and didn’t fit. If you get them go up a size or maybe 2 sizes up. :( also you could see though them. Rated 4 out of 5 by PATK from great value. Material not as supportive as more expensive brands and I don't think will last as long but if only used once or twice a week and not washed in washing machine I sure they will be fine. They look good and are very comfortable. Rated 1 out of 5 by Vivi from Sizeing wrong If you get theses get a size up. They are a little bit see though too. Rated 5 out of 5 by Sharon from Love them I’ve had these a little while, fit lovely, good quality and wash well. Have recommended them to friends. Rated 5 out of 5 by Cazzie from Thrilled Fantastic fit and very good quality. I now have a total of three active value performance capris as I like them so much. They are ideal for the many classes I do at the gym. Slimming if you are conscious about your legs.